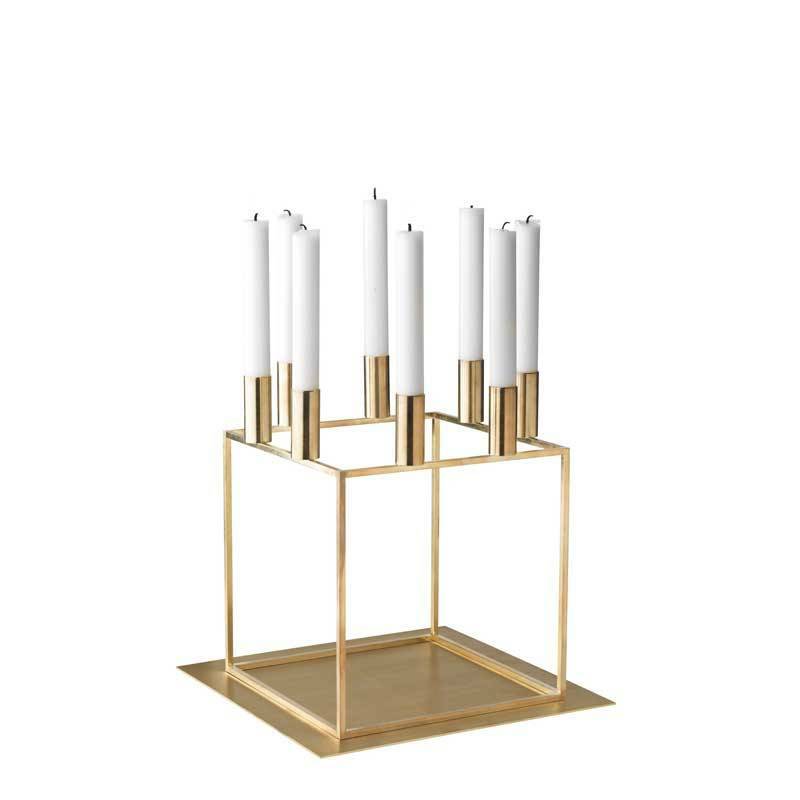 The Kubus 8 is the largest and most impressive candlestick in the Kubus series by By Lassen. 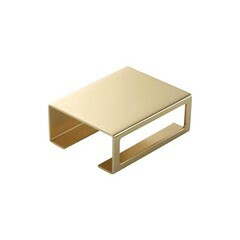 This brass version unites a timeless design with a timeless material. 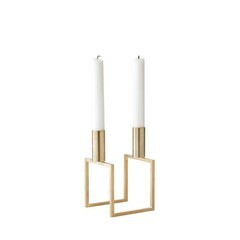 A true eye catcher in a modern or classic interior. 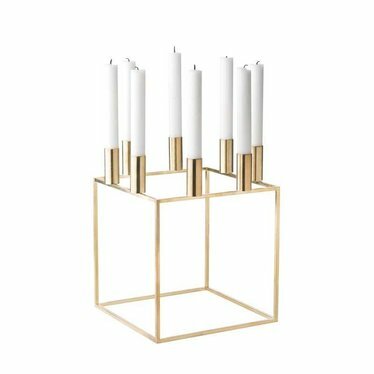 The Kubus 8 was designed in 1962 by the Danish architect Mogens Lassen, based on the principles of Bauhaus. 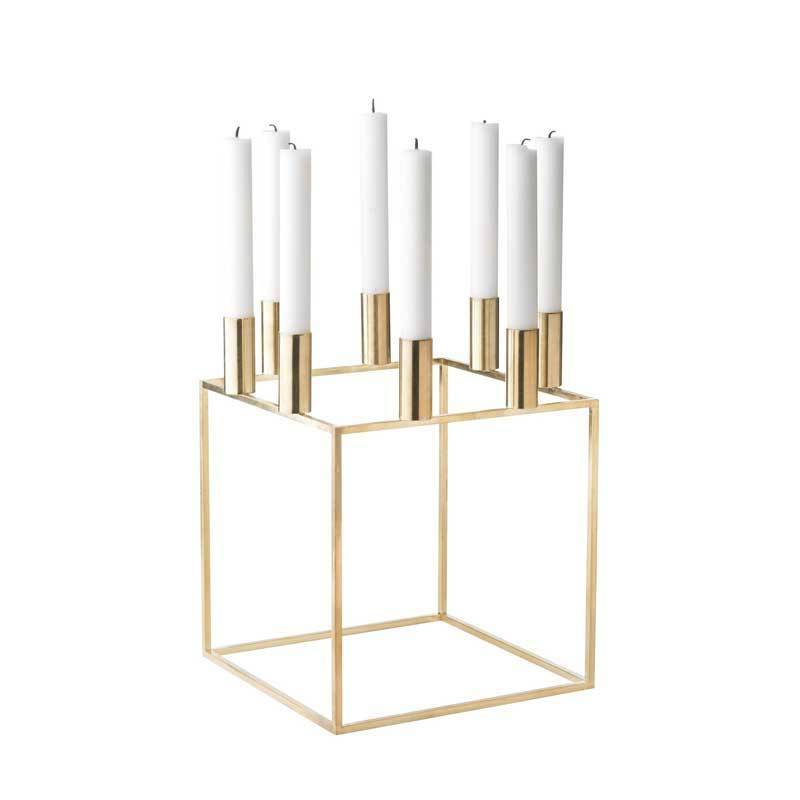 With its 8 light points, the Kubus 8 is a beautiful luxury statement in your interior. 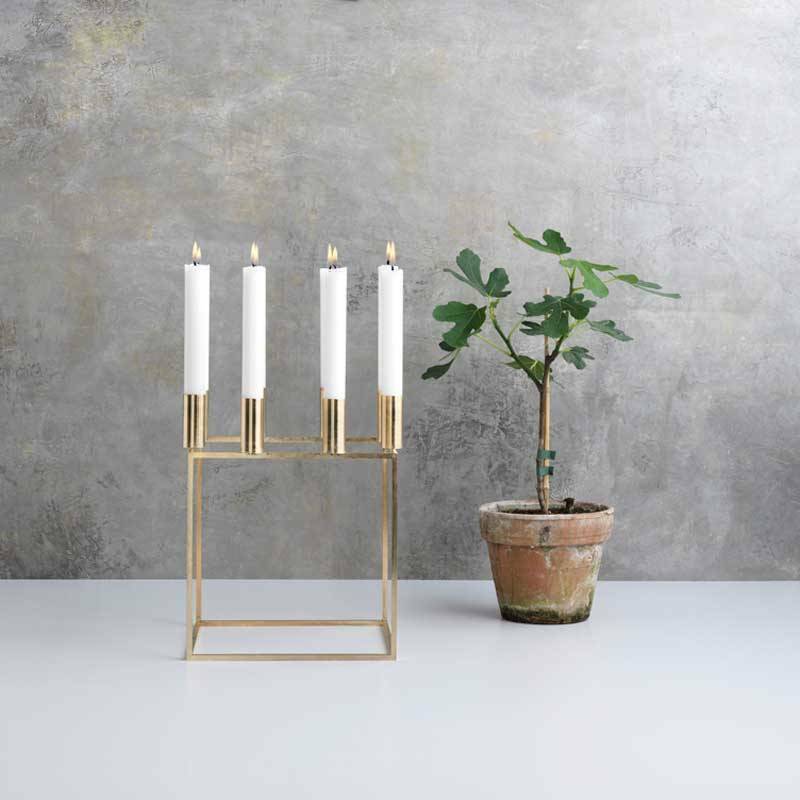 In 2015 the Kubus 8 was released in brass plated metal. 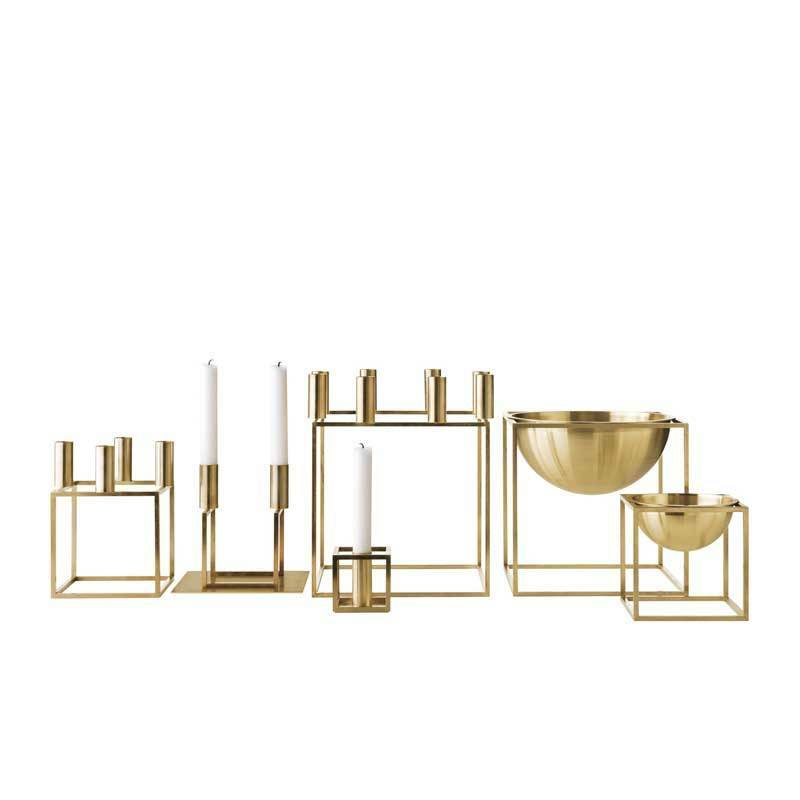 Brass is a classic material that is as timeless as the design of the Kubus itself. 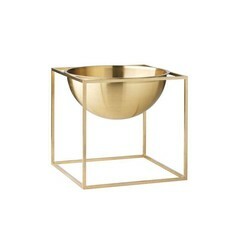 Maintenance advice: By Lassen has left the brass untreated so that it will show a patina through time. Let the material get its natural patina. 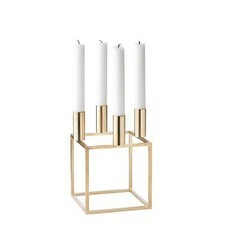 The brass Kubus 8 candlestick can not be polished.